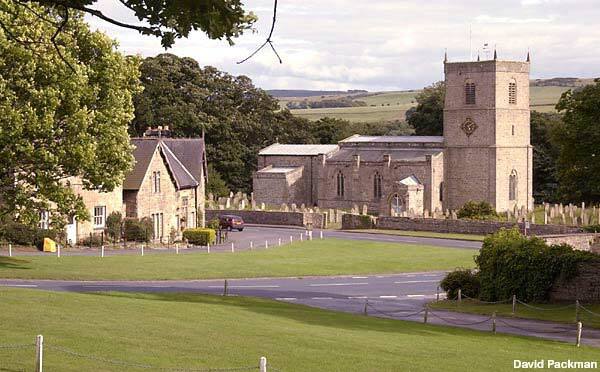 Wensleydale - The village of Wensley sits at the start of the scenic dale, with the church of the Holy Trinity dating to about the 14th century. 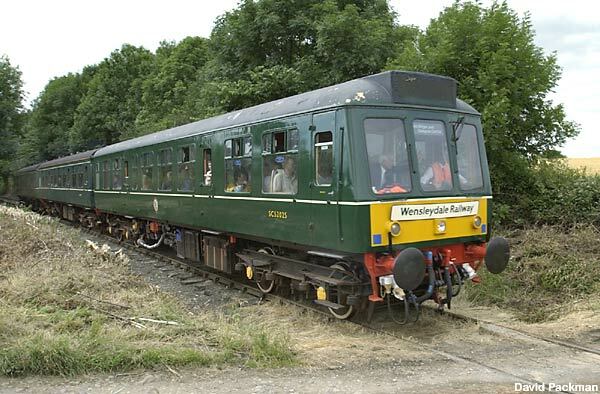 After a break of 49 years the weekend of the 5/6th July saw the return of a regular passenger train service to Wensleydale. The train runs between Leyburn and Leeming Bar, soon to be extended to Northallerton. 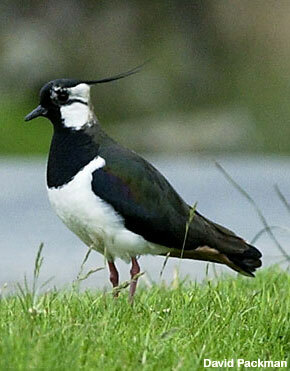 The final aim is to run the full length of the dale from Northallerton to Garsdale Head. 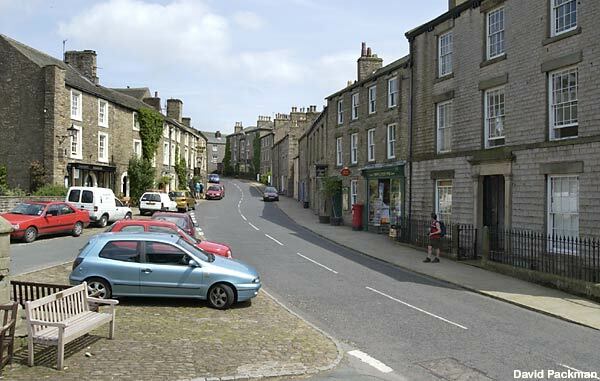 Askrigg - The three-storey houses that line the road are an indication of the village's prosperity from its clock-making and lead-mining activities in the 18th and 19th century. 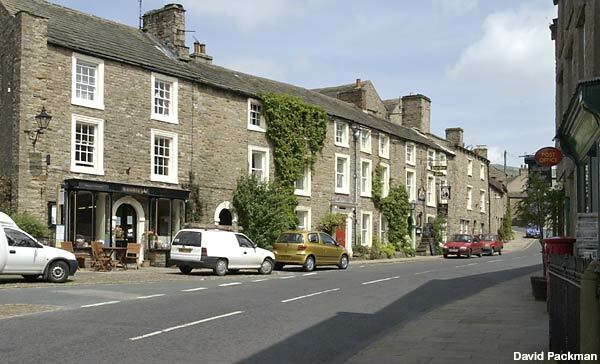 Its more recent claim to fame was being the home of the BBC TV series "All Creatures Great and Small" and the exploits of the vet James Herriot. 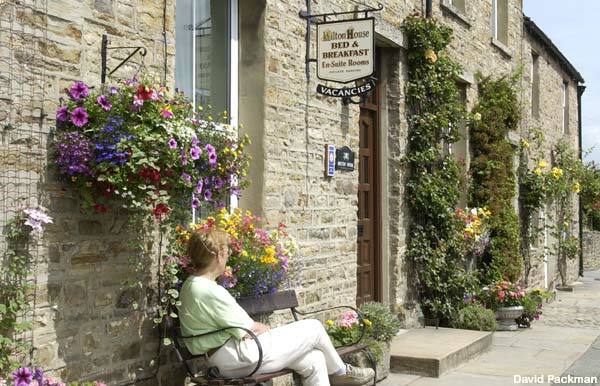 Askrigg - A colourful entrance to one of the village B&B's. 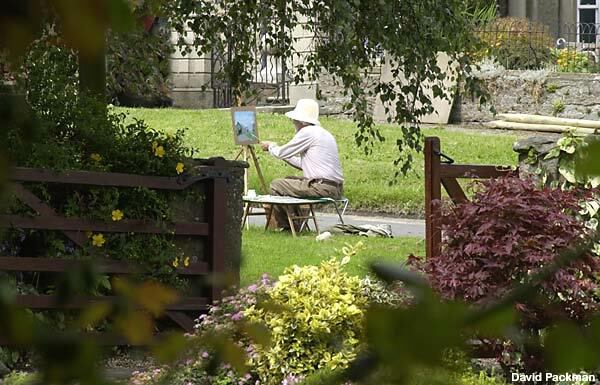 There's no shortage of subjects for the artist. 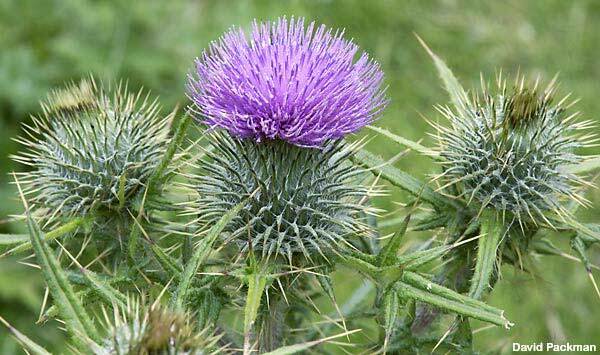 A thistle in all its glory. 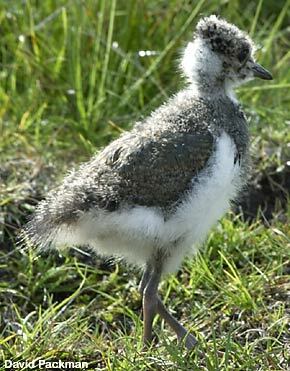 Keeping a watchful eye on its offspring. 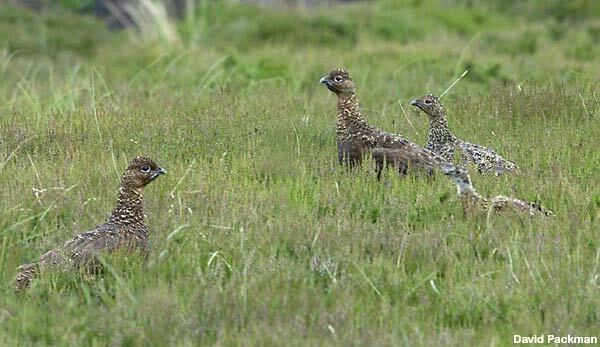 A family of Red Grouse on the high moor above Askrigg. 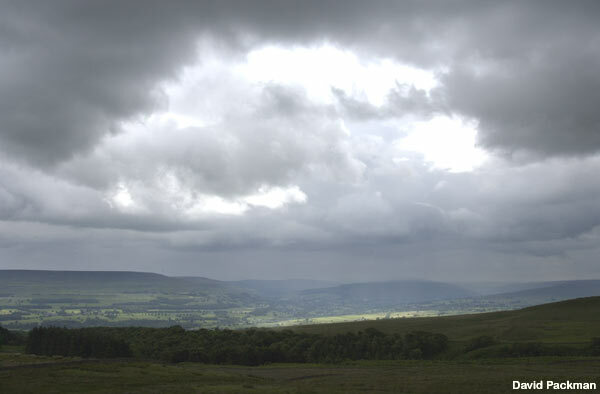 Wensleydale - An evening storm brewing over the dale. The weather could only be described as very changable - from 2 days of continuous rain to very hot (30C) clear days and everything in between.